Trace is THE architecture and design app for EVERYONE. It’s a truly unique drawing tool that allows you to easily develop ideas in layers, communicate via drawing markup, and work fluidly through ALL phases of the design process. 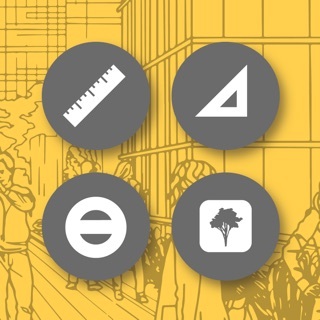 Ideal for architects, designers, interior designers, illustrators, or members of any creative culture, it helps you create intelligent sketches and drawings to meet all your design needs. Draw on top of PDFs, maps, photos, images, drawing sets, background templates, and more with extraordinary resolution using exceptional designer tools, brushes and pens. Bring new life to your design process and transform your workflow with the ease, flexibility and the magic of digital hand sketching. Trace has been featured by Wired, Dwell, Fast Company, ArchDaily, Cool Hunting, Dezeen, MacLife, Core77, designboom, Inhabitat, dexigner, Architectural Record, Archinect, Gizmodo and many more. We would be thrilled to have Morpholio Trace be a part of your creative process. Designed to be beautifully simple, clean and familiar in its canary yellow “trace paper” background, you can use trace to build an idea, as well as simplify many other forms of feedback in the design process. We hope you enjoy Trace and if there are any specific ways it could be improved for your use, please send us your feedback. I recently purchased a shiny new iPad Pro and Apple Pencil and was excited to test out the top recommended apps for architects. In my excitement I subscribed for one year. I also subscribed to many other apps. I know there is a learning curve. My first experience however immediately made me wish I had not wasted $40 on a year subscription. The problem is the integration with the Apple Pencil- it’s the worst of all apps I tested. Specifically when you try to draw a line... it’s jittery, broken, and inconsistent. It has a ton of aliasing too. A big thick line works fine, but if you use a thin line while zoomed in, it’s like drawing with an empty bic pen that skips and stutters. It’s that bad. Every other app makes smooth consistent lines at every zoom level and every lineweight. The lines aren’t vector, that’s fine, but they sell ‘pdf editing capabilities” and it’s basically rasterizing a pdf, drawing jittery pixelated lines on top, and charging you extra for that feature. If they fixed this then maybe I could see the potential.